The Oregon Trail Overnight takes fourth grade or mixed 3/4 or 4/5 grade classrooms to spend two days and one night at an outdoor camp site in the forests of Oregon. Students experience learning based on the theme of the Oregon Trail and the adventures faced by pioneers. ​Students study Oregon history as part of their social studies curriculum. The Oregon Trail Overnight program is a wonderful multi-disciplinary experience that complements the regular classroom curriculum. Oregon Trail Overnight is an exciting and innovative experience for the classroom. Curriculum for the Oregon Trail Overnight integrates with standard classroom curriculum in language arts, mathematics, science, social studies, physical education, and visual and performing arts. Oregon Trail Overnight is a unique field experience where an entire class can learn in the outdoor environment. 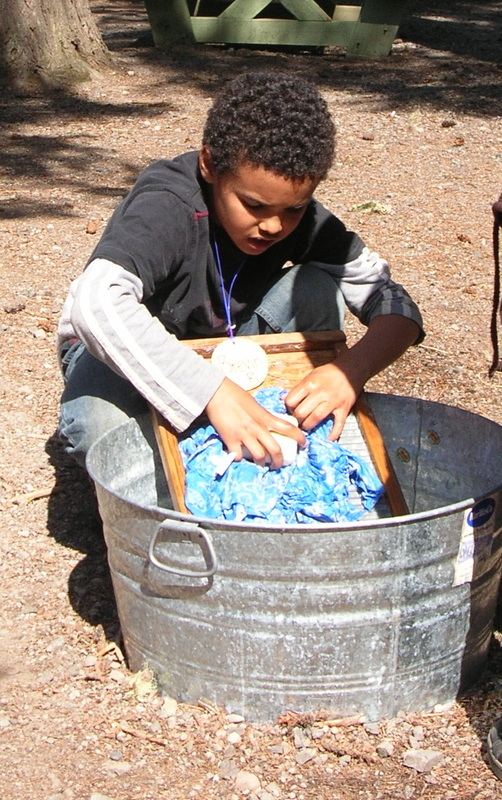 Teachers, students and parent volunteers develop a new appreciation for the outdoor environment and have a chance to learn about skills pioneers and explorers needed to come to the Oregon Territory.